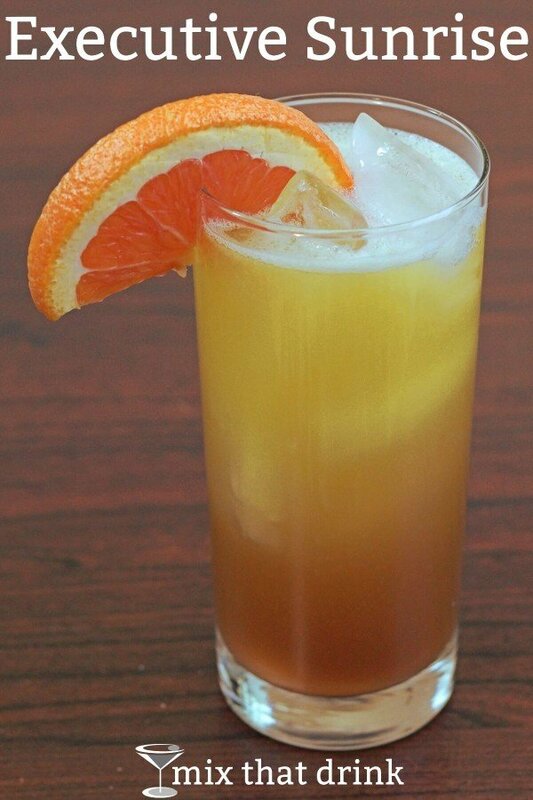 The Executive Sunrise is sort of a riff on the Tequila Sunrise. You upgrade the white tequila to gold tequila, and instead of grenadine for the sunrise effect, you use creme de cassis. The drinks look pretty much identical. The creme de cassis falls to the bottom and creates the “sunrise” effect. It’s more brownish than red, and it tastes like blackcurrant instead of the berry-pomegranate flavor you get from grenadine. This is an easy going drink. 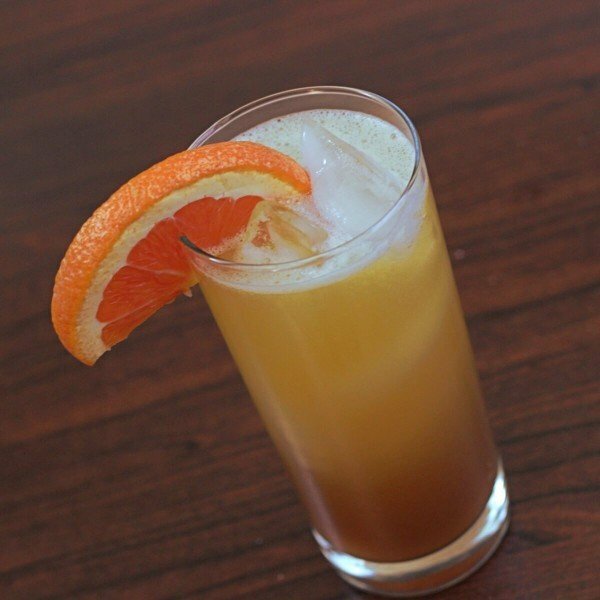 The tartness of the orange and the mellow blackcurrant overwhelm the taste of the tequila and make the whole cocktail very smooth. 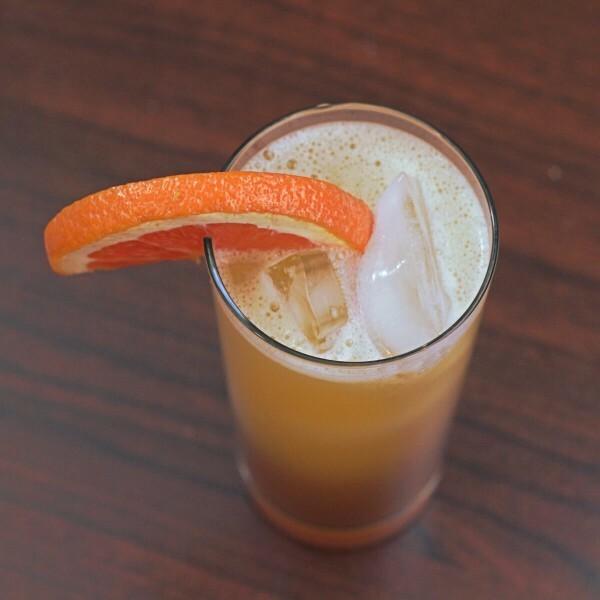 With four ounces of orange juice, it actually makes a very good brunch cocktail. Speaking of brunch, this is an easy drink to pair with meals. Try it with just about any kind of omelette recipe you like, or these Oven Roasted Breakfast Potatoes from The Chunky Chef. The smoky flavors from the bacon and smoked paprika make a wonderful contrast to the sweetness of the drink. And here’s a tip: if you find it difficult to make sunrise drinks because it calls for dropping one ingredient right down the middle, there are a couple of ways to make it simple. You can pour the sunrise ingredient – in this case, the creme de cassis – into a little cup, spoon or something like that, and then pour. Or you can spend a couple of bucks on these cocktail pourers that you attack to the tops of bottles. They help you control the flow even with very full bottles of liquid, and are great for layering cocktails, too. Fill a collins glass most of the way with ice cubes. Pour in the tequila followed by the orange juice. Drop the teaspoons of creme de cassis right into the center of the drink.